“Shame is a deep well”. The first five words of screenwriter turned psychotherapist turned thriller writer Dennis Palumbo’s debut crime novel. The first five words of what becomes a truly exceptional debut; a gripping tale with strong narrative voice and drive, fresh and intriguing characters, and plenty of well-constructed twists and turns to keep even seasoned crime readers guessing and surprised. Dr Dan Rinaldi is a clinical psychologist and consultant to the Pittsburgh PD, specialising in treating victims of violent crime – survivors of robbery, kidnapping, or worse. After six months, he’s finally made something of a breakthrough with Kevin Merrick, a drug abusing and self-harming college student who seemingly at last has started to open up about his traumatic past. However, recently Kevin had started to worryingly mirror Rinaldi in dress and manner, struggling to find his own sense of identity and instead mimicking his therapist. Rinaldi wants to work through this with Kevin, but after the breakthrough session, Kevin is murdered in Rinaldi’s parking lot. Pandora’s box opens: Rinaldi is in danger of losing his license for how he treated the dead young man; the police see the psychotherapist as a ‘person of interest’, but more frighteningly, perhaps the true intended victim (therefore still in the killer’s cross hairs); and some of Rinaldi’s other patients start to unravel as the pressure mounts on all concerned. When another death also links to Rinaldi, the blow torch is turned up on the psychologist. Feeling responsible, he’s determined to find the killer (and prove he’s not involved), but his life and career are spinning out of control. It seems powerful people are to destroy him, and they may very well succeed. His compassion, and passion, could be Rinaldi’s undoing, as he searches for answers. Palumbo’s writing is wonderful, full of pithy yet vivid description, and good, layered characterisation. His prose comes alive off the page, further fuelling an exciting story. The characters, not just the complex, cares-too-much hero Rinaldi, but many of the supporting cast (“beer keg in a wrinkled blue suit” Sergeant Polk, his partner Detective Lowrey, attractive free-spirited ADA Casey Walters, and more), are memorable, well-drawn, and fascinating on a number of levels. 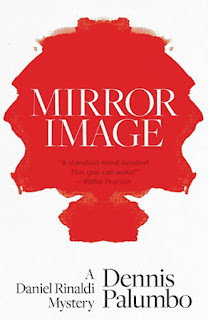 Mirror Image tears along at a terrific, tense pace, but never feels ‘breezy’ – there’s depth in every page. Layers of subtext and intrigue twist on themselves, ensnaring the reader as Palumbo takes us on a thrilling ride. Put simply, this is one of the very best debut novels I’ve read in the past decade. Highly recommended. 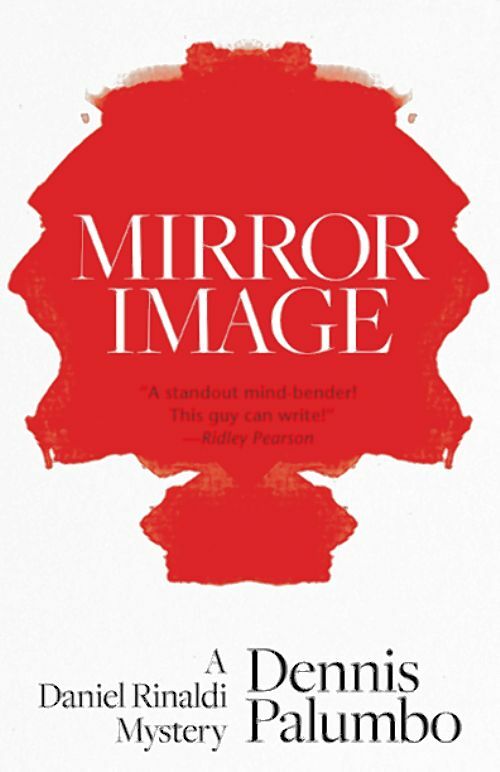 Have you read MIRROR IMAGE? Do you like psychological thrillers? More generally, what does it take for a new-to-you author to grab and impress you? I'd love to read what you have to say. I've recently finished "Mirror Image" and Palumbo's latest, "Fever Dreams," and they are BOTH great reads! Not your usual characters, which is refreshing.